The Dakar Rally buries a lot of things. Hopes, dreams, wads of cash… entire valleys. It also buries stories. There were so many stories in the 2017 event I couldn’t keep track even with a spreadsheet (yeah, that’s right, I used a spreadsheet). New manufacturers were one of the stories that just went right under the radar. It’s a shame because two manufacturers came at the Dakar Rally for their maiden run. They happen to be from the two most populous countries on earth, the ones we are always hearing as “emerging markets” in business magazines: China and India. But their approach to the Dakar was very different. Chinese manufacturer Zongshen did things the hardest way you could. 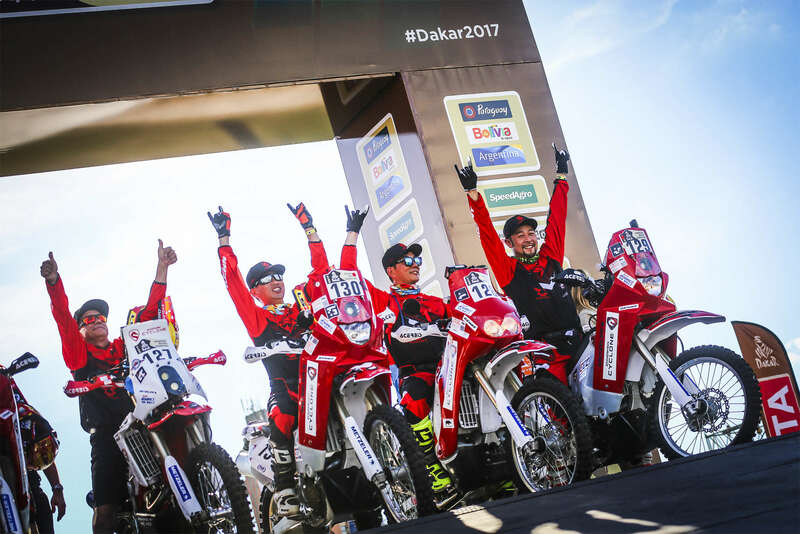 They developed their own engine and put it in five different test mules to gather data, using three local-bred riders and two privateers with Dakar experience. Hero Motorcycles of India put together a team by purchasing one. If you aren’t familiar, Hero Motorcycles is a huge Indian manufacturer mainly known for frumpy mopeds that keep the country in motion. German company Speedbrain is probably not familiar either, yet their efforts should be. They are behind some high performance offerings for BMW’s and actually were the Husqvarna rally team for a few years, winning several Dakar stages in 2013. They managed the Honda Dakar team as well. With the right contract and check in the mail, now they run Hero colors… and run they did. 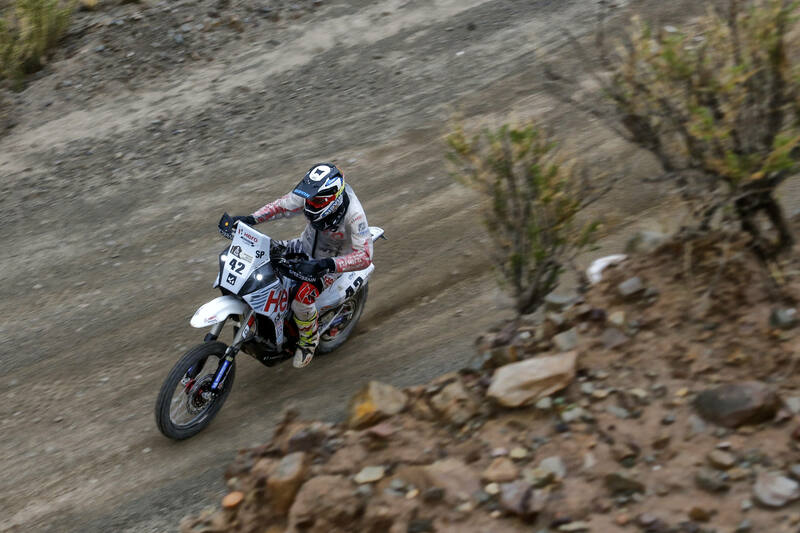 12th overall and, although it may not technically be Speedbrain’s debut at Dakar, when partnering with a new company from another continent, there is definitely some adjustment. It’s a much better result than Hero’s attempt to go Superbike racing with Erik Buell. The hat tip certainly went to Hero, but at the other end of the spectrum the jeers went to Zongshen. The Chinese brand gets kicked whether they are up or down, mainly because of the stigma associated with Chinese products. They entered five machines in a seriously brave attempt at the Dakar, with a confusing and basically non-existent marketing campaign. We were left to guess at what was some sort of 450cc bike that wasn’t a copy of a Yamaha (as previous machines were panned for being), and unknown riders and management would take them to a finish. Or to be accurate, unknown to people outside of China. Rider Willy Jobard was the only name I had heard of, and only vaguely. The result, from a PR stand point, was a disaster. The bikes on the starting line looked different than the ones in the teaser reel, and each other, hinting at ongoing development (or hail Mary problem solving). Personally I took this as a good sign. This is called “seat-of-the-pants testing” in America and once upon a time we all thought it was cool. You showed up with what you had and you ran it until it blew up, then you made the blown up parts better. That’s actually how we got these bland and lifeless road cars. Race teams broke everything so many times, now engineers can make a flavorless wonder. Damn. Wasn’t I talking about Zongshen? Right then. Four of the five machines failed to make it through Stage 02, the first actual stage. Two seemed to be from navigation errors, but the others were possibly failures. Rumors swirled about crashes and navigation errors and you can take your pick. Zongshen actually replied to my inquiry and the word I got I will share in a moment. The only survivor from Stage 02 was Thierry Bethys of France, who appeared to be a privateer until I found his Facebook page and stumbled through the only updates I could find. He was left off some of the official press, and his own press was in French, meaning you had to infer he was on the team because he was on one of the bikes. Hey, if you have a Zongshen at Dakar, you outta be welcome to hang out under the factory tent regardless. In reality I believe he was left out of the cryptic email response I received from Zongshen because he was not running their experimental RX3 engine (the entire reason for their pursuit of Dakar glory). I could not confirm this by press time. Sadly, on Stage 04 Thierry’s bike suffered problems siphoning fuel between its two tanks, causing a loss of power. Thierry made repairs, but near the end of the stage he crashed, rupturing one of the fuel tanks. Splashing gasoline onto a hot engine is no good. Thierry was okay, but Zongshen’s maiden Dakar was now literally up in smoke. Now, as I mentioned, I got a bona fide reply from “Sean” at Zongshen. The translation makes it exciting to analyze– like I’m part of a spy novel or something– but there is some solid information. First, Zongshen are some bona fide John Wayne style people. They built this engine and were definitely not finished testing it, but took it to Dakar to let ‘er rip anyways. They plopped Jen Hsien Chi in one of the saddles. A well known singer and TV star in China, Chi suffered three falls during Stage 02. He came together with an ATV, then got stuck in the giant mud hole that swallowed half the trucks as well as several bikes, and then found an unforgiving enough object in the form of a tree. A helicopter ride later showed no serious damage, but the bike, and Chi’s Dakar, were done. RICHIE JEN: Photo Frederic Le Floc’h ©A.S.O. Willy Jobard fared better but met the same fate. The Frenchman broke his foot in a crash and was out of the race in Stage 02 as well. Now we are left with Zhao Hongyi and Zhang Min. The pair are experienced racers within China, but this was their first time racing abroad. Min ran into charging system troubles on the bike during the entirety of Stage 01 and 02, according to Zongshen’s marketing man “Sean.” Hongyi stopped to help and, with both of them losing a lot of time, fell victim to pressure of making up time. It wasn’t a crash that took him out, but a failure in the fuel system. If you want to read into this pair, which I do, you can see two rally racers understanding the team concept. They chose to work as a pair, knowing they were up against a huge task, unknown variables in the event, the bike… in everything. The one known variable? Each other. They had raced together a lot, they trusted each other, and sticking together would increase their chances of success. Ses simple, especially to veteran fans of the event, but without team management and experience, this can be overlooked. This was one sign that Zongshen had some people dedicated to the mission: get the bike home and gather data on the new engine. I seem to be in the tiny camp of people not laughing at the effort. To show up and fail that spectacularly is impressive. I hope they come back. If it were an American team stuck with limited access to resources and information, showing up and having at it by the seat of their pants, we’d be raising a can of piss-warm beer and cheering them on. To put that much at stake on an international stage, and do so much of it in-house, deserves credit. I can’t help but admire their moxie. Hero Motorcycles bought a race team and a race bike. 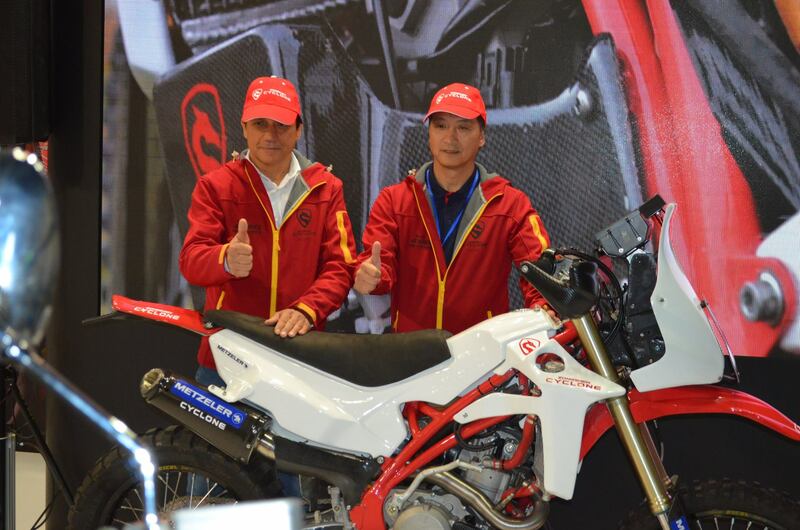 While the effort is commendable and earned a lot of press, Zongshen’s failure will yield far more information in how to managed a rally team, build a rally bike, and market an international race than Hero’s approach. The power of failure should not be underestimated. Nicely written. Fear of failure at an event like this should not deter the effort; they will learn much from trying. I’m a big fan of Zongshen after attempting and completing a jersey finishing run of the rigorous Tour of Idaho on a bike powered by their NC250. Over 1800 miles of treacherous terrain, temps, elevation in 9 days with no breaks after day 2; a better torture test could not be designed by the best engineers. All the doubters are now becoming fans… and I see the day that Zongshen is as common a brand in the west as Honda and Yamaha on the near horizon. You can’t go wrong with a Zong!! A nice insightful read, wish I had found it sooner. I know very little about Hero, but wish them well. I’ve looked at the Zongshen offerings in the USA at length and am impressed, it’s a shame that putting “China” on a label causes one to automatically disapprove. 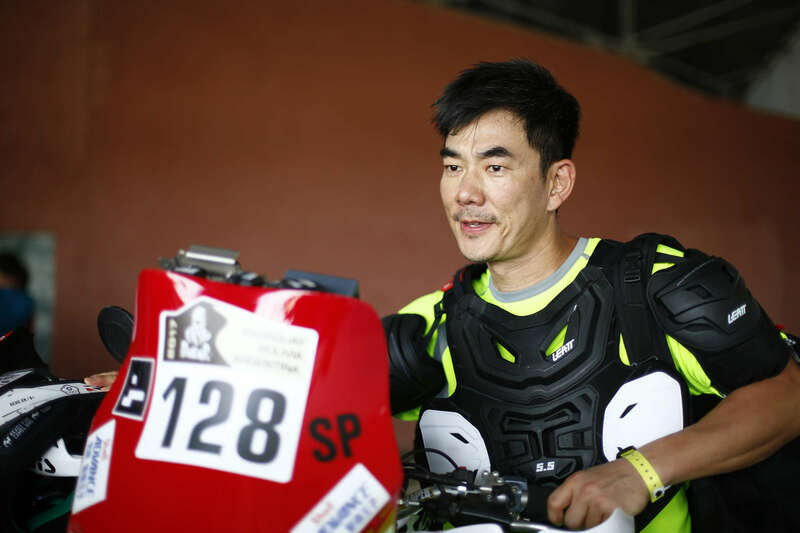 I followed Zongshen during the Dakar and was dismayed with their result, hoping for mention of a return. When one was not announced I postulated that one reason is simply that the event, win or lose, will not give them answers that they don’t already have or can be gotten by other less risky means. I don’t think they are trying to compete with KTM, rather planning to establish a sound and secure foothold in the general ADV market, offering a good product at a practical price. Their 250 cc RX3 is spreading over the globe quietly but with devout followers. I suspect that in five years the red dragon will be well established around the world and long time riders will wonder where the company came from. Thanks for reading the piece. Hero is actually quite large. They used to be in partnership with Honda in India before Honda went their own way. They have a lot of capital. They seem to do most of their growth through strategic partnerships, like their partnerships with Honda, EBR, and Speedbrain. Although they are unknown in the US, they sell a huge volume of machines to the middle eaat, africa, and a few s. Am countries. Zongshen is also very large, but seem used to operating in the closed markets of pre-Nixon China and the many market/legal changes China made that opened up foreign investment. They can reverse engineer and now they can make derivatives that allow them to gain their own knowledge. I think that is the biggest step they have toward being a global power outside of Asia. I agree that their Cyclone models here in the US (as CSC) are impressive. Metalurgy is lacking but if you take care of them like older bikes (70s, 80s era) needed when new, they seem to plod along just fine. Thank you sir! These two factories couldn’t be more different, but their stories couldn’t be more interesting.